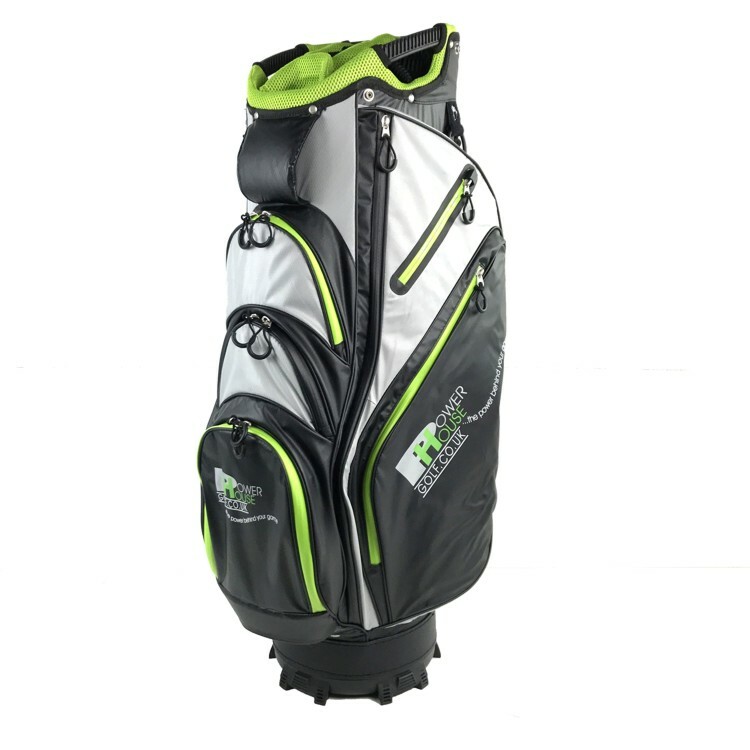 The new Powerhouse Golf bag is designed for use on all Powerhouse Buggies and Trolleys It is made from Ballistic Nylon fabric, with weather proofing to the inside face. It is finished in Black/Grey with Green piping to the edge and sporting the Powerhouse logo on 3 sides. A full array of zip pockets and compartments to accommodate everything required to meet the users needs. Incorporates a 14 way club divider covered in "Micro fabric" and putter divider. Includes a "Quick Clip" Adjustable carry strap and Press stood fitting head/rain cover. The bag can easily be used on any equipment or as a stand along bag.